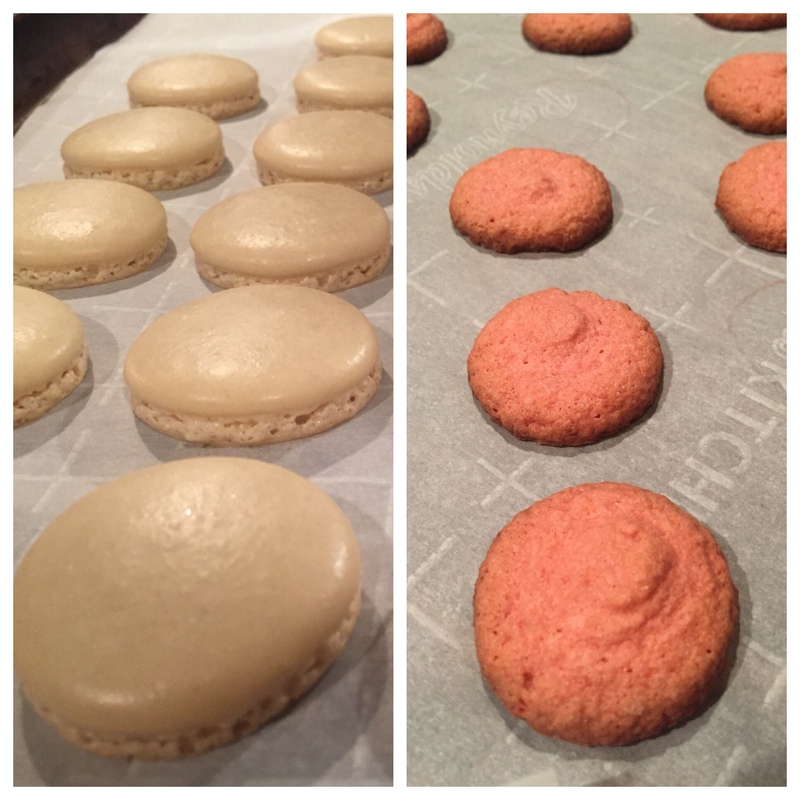 When our friend Margo visited on Sunday, I made raspberry French macaron cookies. But they were a total fail. They tasted ok, but they just didn’t have the right texture. So I decided to try again tonight. 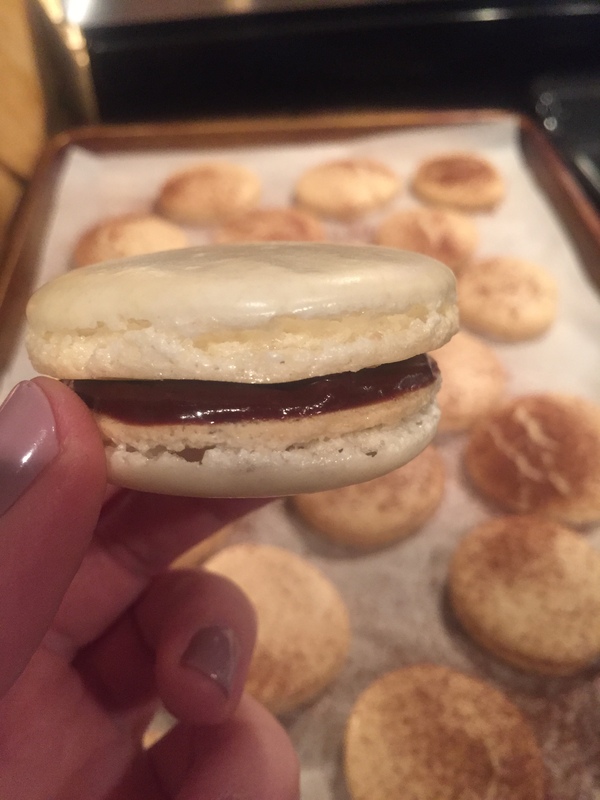 I found the recipe from the Sur La Table class I took last spring, and it made a big difference. The speckled cookies are espresso flavored, while the pale ones are almond. The filling is an Amaretto Chocolate Ganache, which we discovered we much prefer in a very thin layer. Today’s cookies were a vast improvement so now we’ll have to invite Margo back to make up for the lumpy ones. 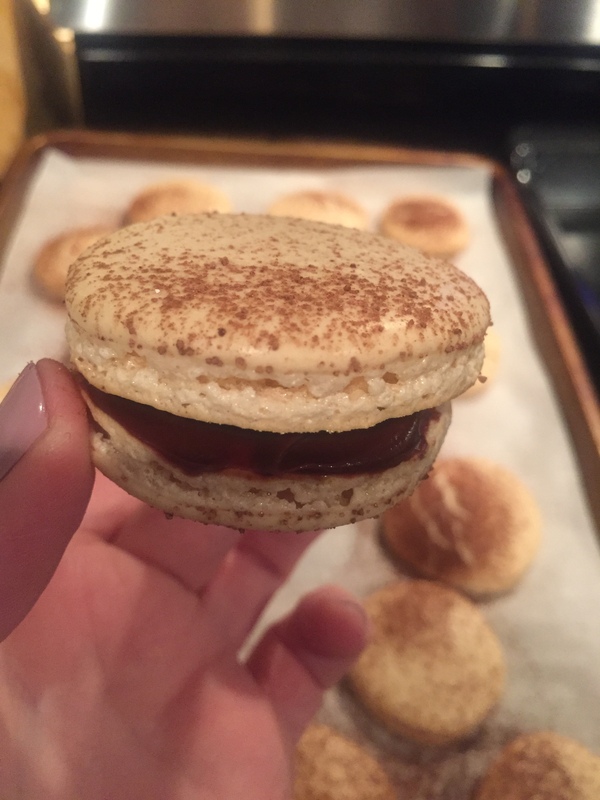 Today’s #OneGoodThing was practicing my macaron skills at home and sharing the fruits of my work with Mama! Plus, it felt so good to finally get these right, after the baking fail of the weekend. Day 331 of 365. And Day 1,062 in a row (here’s the first 366 & the following 365)!